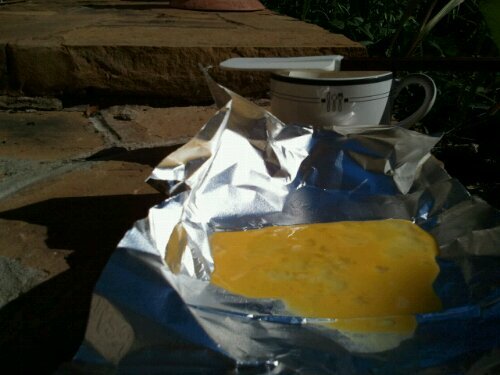 Last summer I decided to test the saying “It’s so hot that you can fry an egg.” First, I took fresh eggs, a mixing bowl, and a piece of foil outside. 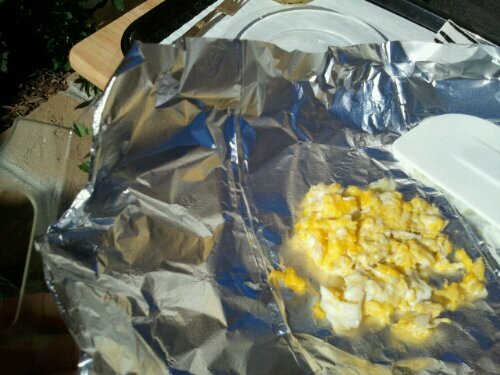 Then I broke the eggs and poured them onto a foil. I waited for 10 minutes, but nothing happened. I moved the eggs from a garden stone to the driveway, hoping that the asphalt would be hot enough to do the job. 30 minutes later I was very hot and very disappointed . I was glad to escape the heat. Inside I searched YouTube to find out if other people had experienced a failure with this cooking idea. Many people wanted to test this belief. They were mistaken the same way I was. 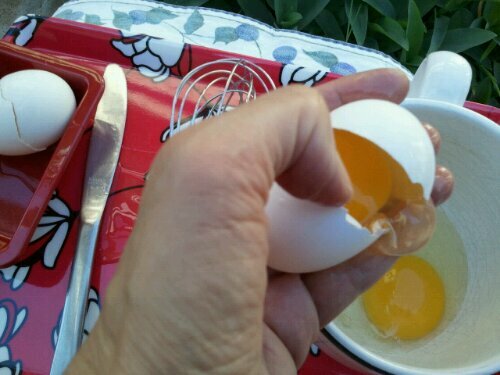 One video proved that it’s possible to cook eggs on a hot day only with the help of a magnifying glass that increases the temperature. I did not have the right equipment to continue my experiment. 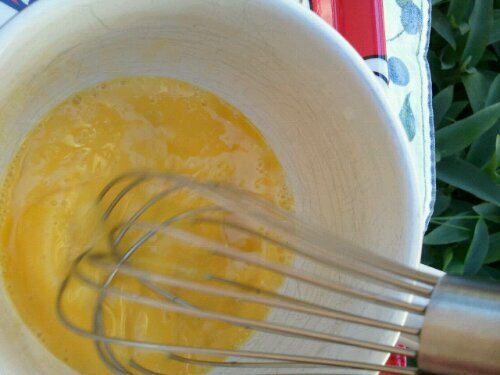 I cleaned my mess, or removed evidence, and cooked the eggs on the regular stove. Finally, I posted all pictures and links to my blog. Put on a hat and sunglasses before you start your cooking experiment. Follow these easy steps. 1. 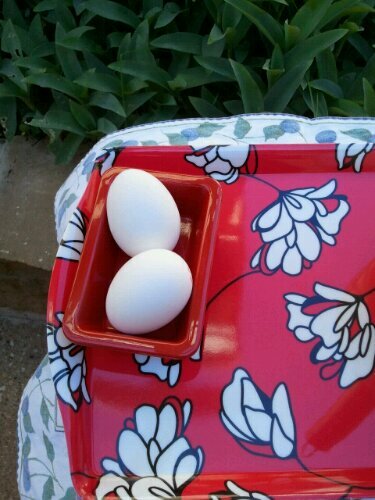 Take one or two eggs. 2. Break them and beat well. 3. 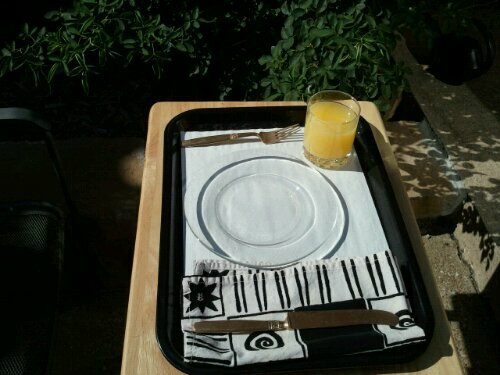 Pour the eggs into a sheet of aluminum foil placed on a garden stone. 4. Cook until done stirring. 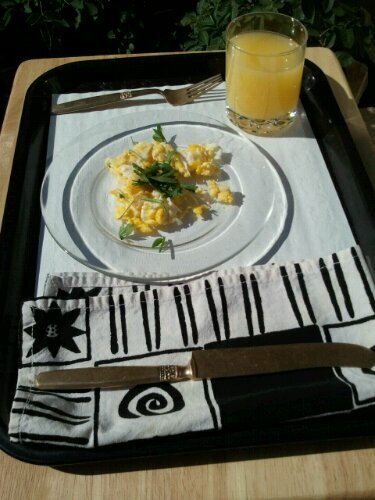 Were you lucky to serve your eggs with a pinch of parsley from the chef’s garden and enjoy your meal? Find out what happened to these folks.